I was apprehensive to go to Morocco because I’d heard and read that it can be dangerous (specifically for women) and that it’s overwhelming to be in the Medina. We were about to find out if that were true. Our trip started off on a bad foot when we started to walk out to our airplane to board and decked out police men came out to stop everyone. They were clearly searching for someone specific when they walked up to some of the men to recheck their passports. Once we were allowed to board we were hustled to sit down while the police went through the rows looking for someone. Everyone was getting nervous with all the obvious added security, but I guess they decided everything was good since they left and the plane started to take off. Luckily, our plane made it to Fez and the rest of our transport went very smoothly. Our hotel had a taxi come pick us up for a good price and he dropped us off right at the door to our hotel. Our host showed us a great place to get dinner and the room was actually not bad. I was just grateful for clean looking sheets! 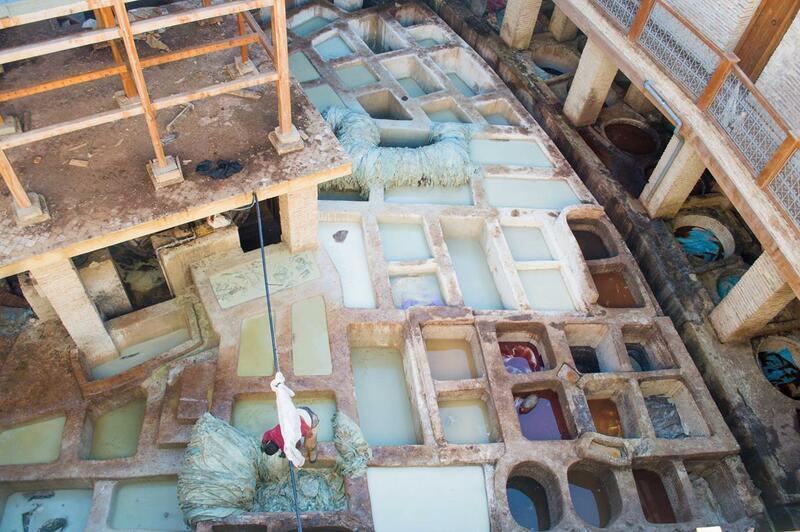 The next day our host showed us to the big tannery where he said his friend would show us around and no pressure to buy anything. His friend took us on a small tour and then led us to the shop to try on leather jackets. He had us try some on then started putting out prices and trying to bargain with us. As he continued to bargain down the price he kept whispering to Pablo that, “it was an incredible deal and the German tourists would make up the difference.” After telling him we weren’t buying several times he got frustrated and left us. Our host had said that the same guy was going to show us to the oil makers place, but he seemed done with us. So much for not pressuring. We wandered the maze of streets unable to use the GPS on Pablo’s phone because the tight covered streets were blocking any cell reception. The Medina has over 9,000 branching little streets that I wasn’t sure how helpful a map would be anyways. We bumped into a guy who said to follow him, he knows where the oil factory was because his mother works there. Even though I’d never recommend following people who approach you, it seemed that’s how the tours went in Morocco and we aimed to stay close to groups and other tourists. He brought us to an oil store, but they weren’t making the oil there so we left. We wandered some more, but I was starting to feel claustrophobic in the maze of streets and wanted to breath in fresh air. I was thoroughly relieved when we finally found our way out of the Medina. The second day we headed up the hill to the bus station to buy our tickets to Chefchaouen. The hill gave us an amazing overlook of the Medina and it made sense why we got so lost in the old city streets. I preferred the view overlooking the Medina over the view in the tight streets, definitely more peaceful. We crossed paths with an Australian couple who were traveling a lot further and longer than we were. We talked for a long time under the hot sun and made plans to have a BBQ at their home when we come visit Australia. We love meeting people and learning about how they travel, it keeps our minds open to new ideas. After splitting off from the Australian couple and purchasing our bus tickets we headed over to the Bob Bojloud, or “Blue Gate.” This is where all the tourists were flocking. As we headed deeper into the Medina to get back to our hotel a guy asked if we wanted to see a tannery saying, “no charge, no pressure.” We obliged and after the guy showed us around the tannery, he gave us an extensive tour bringing us to another part where they make instruments and other things with the leather. We walked to the top of the hilltop where we had a great view of the Medina and then to a guy who fixes spices and oils. At this point it’d been about an hour and I was getting anxious because I knew they were going to want money despite the constant reassurance that it didn’t cost. We said we were done and gave him some money even though he said not to worry about it. He was upset, refused to take such a small amount and that some other tourist gave him a 50. I told him he said no pressure and that it was free, he started arguing back so we said, “thanks and goodbye”. He followed us and said that he would accept the money. Sad thing is he thinks we’re the bad guys because he pegged us as rich people and we didn’t fall for his con. Shortly after we stopped so Pablo could take a picture. Some guy stepped in it so Pablo scooted over so he could take it without the guy being in it. The guy asked for money for being in the picture. My snarky attitude took over and I told him he needed to pay us for taking a picture of him and to pay for using our camera. He walked up to me and repeated that we needed to pay and I repeated that he needed to pay. He glared at me then grabbed Pablo’s arm and said he’d kill Pablo if we don’t pay and I told him he would really have to pay if he did that. Pablo shrugged away from the man’s grip and the man hovered nearby watching us as we purchased postcards. We left shortly after, but I still couldn’t figure out if the guy was kidding or not. At this point I was in a bad mood, but believe it or not Morocco still wasn’t bad at all when it came to people pressuring us to pay for things. 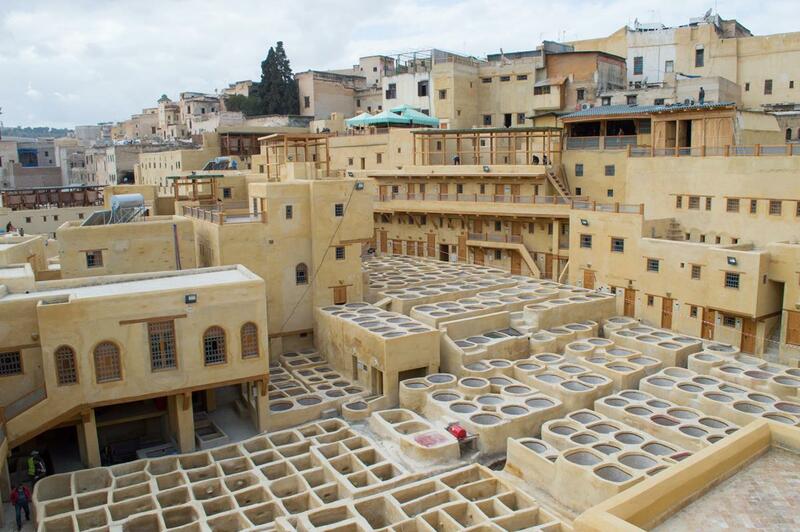 Even though we had a couple unfortunate experiences, Fez was an amazing place to visit and we loved our experience. 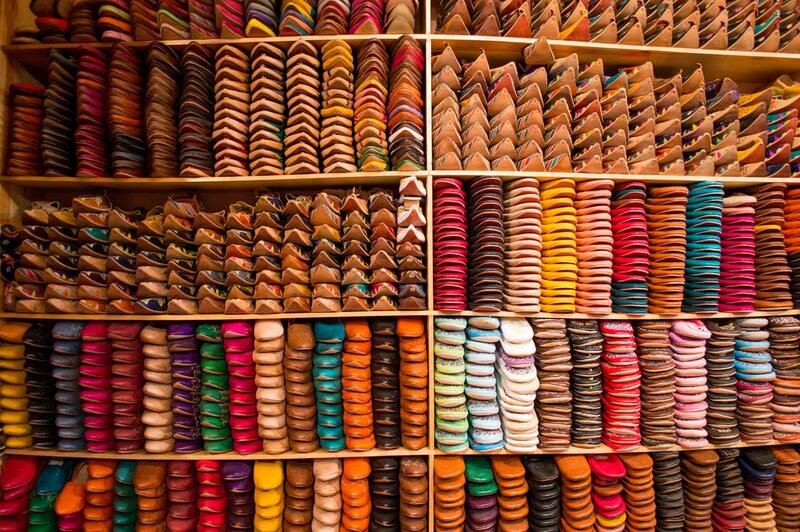 For anyone who feels worried about going to Morocco, you don’t need to be. Just make sure to bring your travel smarts and don’t expect any tours for free. 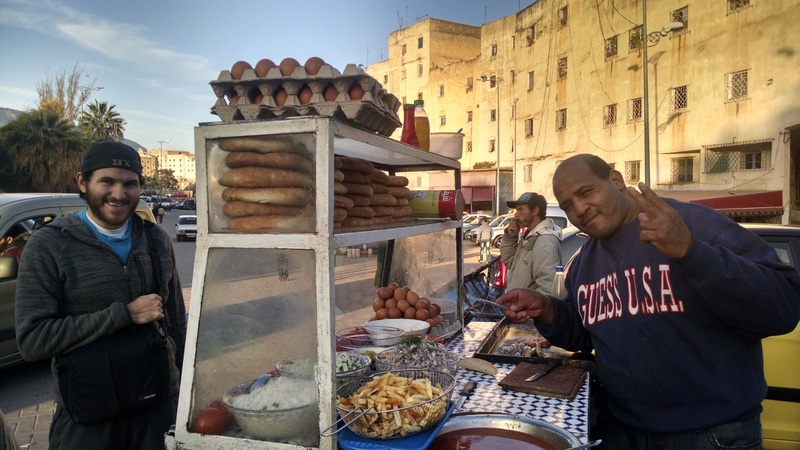 We spent our last day in Fez relaxing around the hotel, slipping into the Medina for a short time and finished the day getting our favorite sandwiches from the food cart guy down the street. We learned that in Fez they make sandwiches with pigeon meat (that explains why there were so many fat pigeons in cages in the Medina). We made sure our sandwiches were not filled with pigeons, but instead chicken and sausage. Overall Morocco was surprisingly pleasant, and despite how our experiences sound the people were some of the least pushy people we’ve experienced on our adventures. 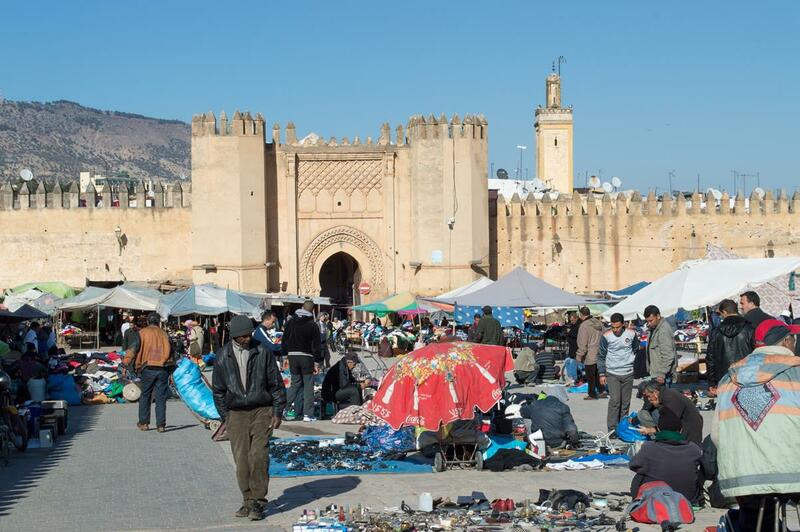 Would you want to plan a trip to Morocco? 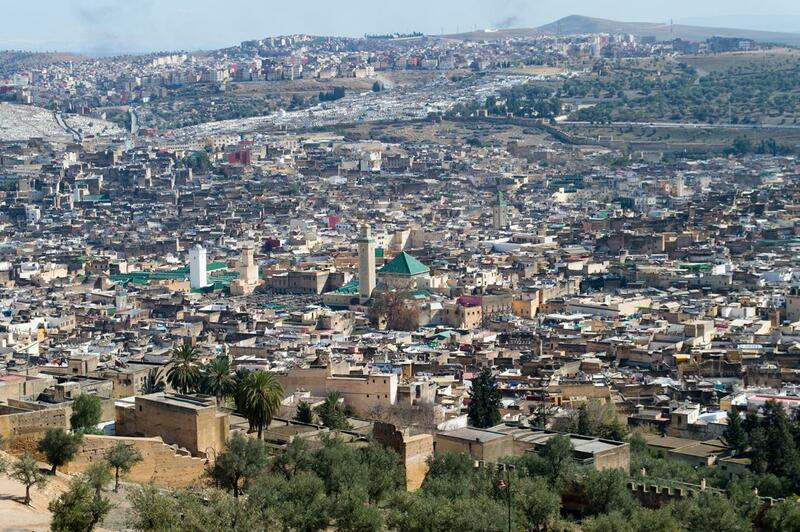 We were able to visit Fez because we found $30 airline tickets from London to Fez! !